Rare – Gated Bayfront estate with privately owned dock! Open concept floor plan, vaulted ceilings and large open lanai allows effortless all season entertaining. Gourmet kitchen with top professional grade appliance, master suite to die for and plenty of room for everyone! Separate guest suite above the oversize three car garage. Adventure awaits with your favorite boat moored to your private dock and boat slip. Relax after a day on the water with friends in your infinity pool and soak in your hot tub. This is Hawaii at it’s best! Please, send me more information on this property: MLS# 201825646 – $3,980,000 – 44-547a Kaneohe Bay Drive, Kaneohe, HI 96744. 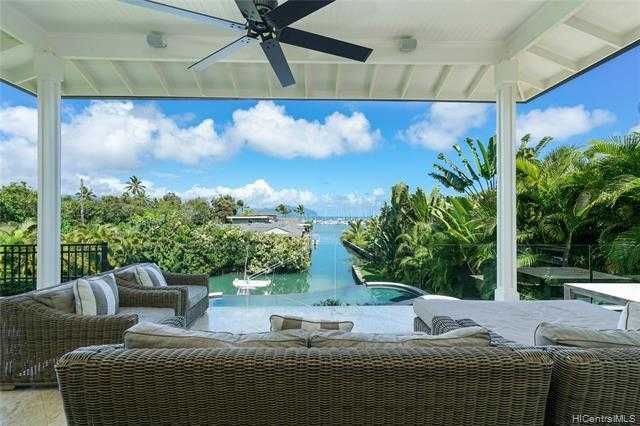 I would like to schedule a showing appointment for this property: MLS# 201825646 – $3,980,000 – 44-547a Kaneohe Bay Drive, Kaneohe, HI 96744.